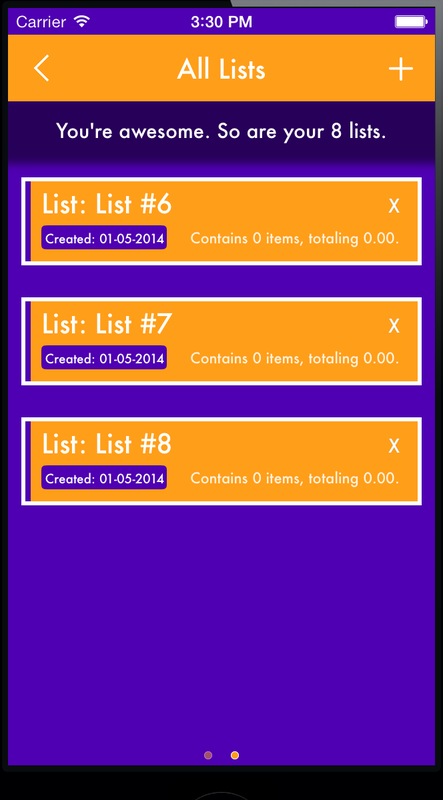 In my app, a person can have a variable amount of lists they've created. Each of these lists can have their very own color scheme. 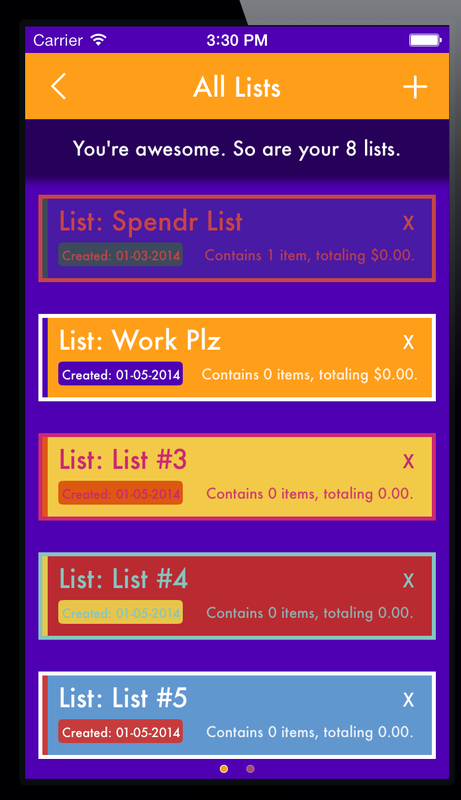 In the view where all the lists are shown that the user has created, I figure I'd give the user cues as to what each color scheme of each list is by coloring that particular cell with it's color scheme. Needless to say it's a mess. Do you UX gurus have any advice as to how I can show the user "Hey, this list has this color scheme" when viewing this page without coloring the whole cell. I've looked awhile on pttrns but can't find something that looks good. A useful additional feature will be checkbox icons of the same color along the top that the user can use to filter lists by color. In your list of lists, you use way too much color as indicator. You are using the underlying list color scheme when you should use the current list color scheme. That's why this second design not only look awful, but is harder to read too. A list should use the same color scheme on every element. Title have color one, border have color two, background have color three etc. These colors represent an attribute in the list, and your list color scheme is also an attribute of the list. To visualize the list color scheme I'd make use of category color which is used in Apple, Microsoft and Google calendars. It doesn't stop you from using two colors instead of one, but it doesn't destroy the design of you list of lists. 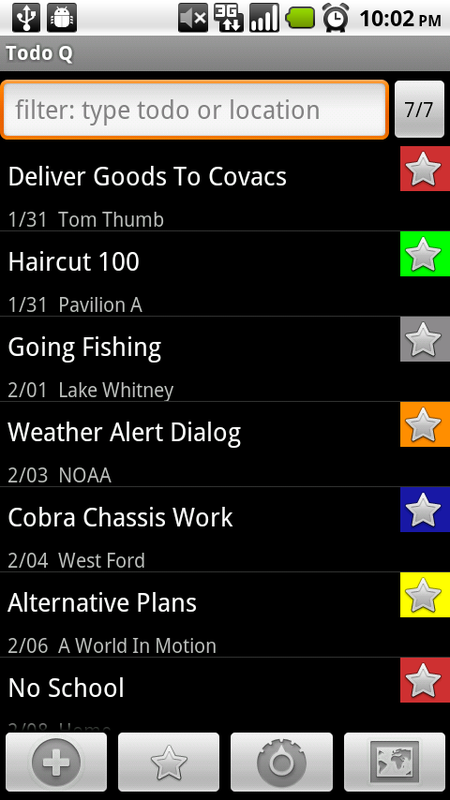 You could replace the star with a letter, and assign a color to it to represent that list foreground color. Perhaps you could offer some progressive disclosure here by shading a corner of the list box with the appropriate color or use a color gradient towards the end of the box. Not the answer you're looking for? Browse other questions tagged mobile lists ios color-scheme or ask your own question. Flat Design + Color schemes - Bold or Subtle? 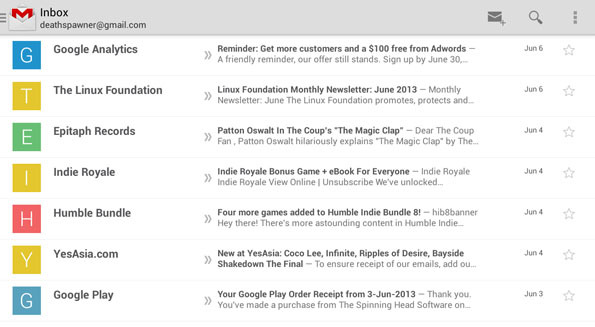 Should form inputs expand to full width on smaller viewports?